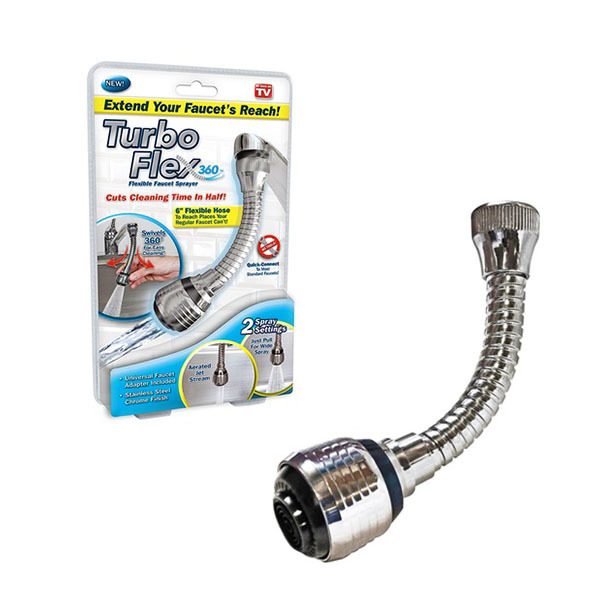 Turbo Flex 360 speedy enhancements your normal tap into a flexible hands-unfastened sprayer with prolonged attain! The twin feature flow & spray makes for less difficult cleaning of bizarre length items, and rinsing out the sink. Great for rinsing end result and greens, filling tall vases, shampooing hair and more. Presents 360 diploma variety of movement and connected effortlessly without equipment to fit maximum trendy sized faucets.